Perth based business 20th Century Vintage buys and sells a broad range of unique mid century, retro and vintage furniture, homewares and collectables. Everything from the 1950s through to the 1980s. 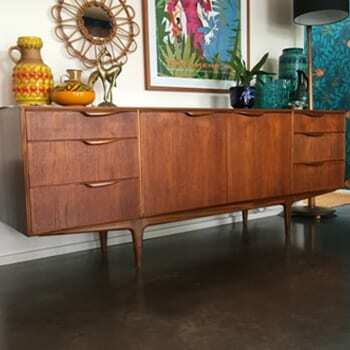 I’m always on the look out to buy interesting, eclectic and collectable furniture and home decor pieces. Most of all Mid Century, Retro and Vintage Furniture; West German Ceramics, Italian Ceramics, Danish Glassware, Italian Glassware, Table Lamps and Concrete garden pots to Kitchenalia. So if you’re downsizing or dealing with a deceased estate, and have items similar to any images you see on my website, then please get in touch as I may be able to help. You can find me as a featured seller in store at Vintage Emporium 216 Whatley Crescent, Maylands to shop the collection. We’re open 5 days a week. Wednesday to Saturday 10am to 5pm. Sunday 10am to 4pm. Closed Monday & Tuesday.